In the last quarter of 2014, Apple Inc. recorded the highest numbers of smartphones sales worldwide. Apple’s latest flagships iPhone 6 and iPhone 6 Plus are doing wonders in the smartphone markets across the globe. Undoubtedly, iPhone 6 & iPhone 6 Plus are the most liked versions of Apple Inc. smartphones. Fingerprint sensor (PayPal certified), Samsung Pay (Visa, MasterCard certified), 16 MP Primary and 5 MP Secondary cameras, Super AMOLED capacitive touchscreen, Android lollipop v5.0.2. And, last but not the least wireless charging. 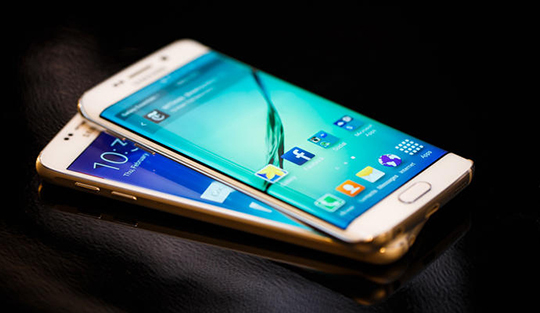 The main difference between these two flagship smartphones is the curvy edges of the Galaxy S6 Edge, which is quite similar to the Galaxy Note 4. On the other hand, Galaxy S6 Edge comes with a battery of 2600 mAh whereas Galaxy S6 has a battery of 2550 mAh. 3. 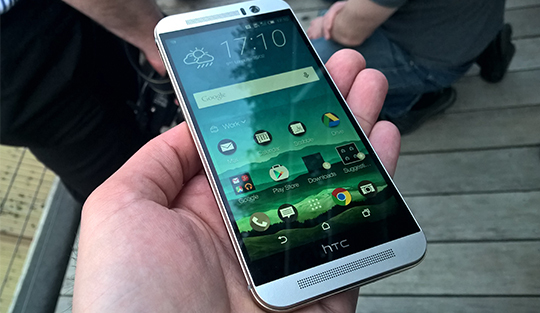 HTC One M9 – Another interesting flagship smartphone available these in the market is HTC One M9. This Android base flagship smartphone comes with Super LCD3 capacitive touchscreen, 20 MP Primary and 4 MP Secondary cameras, Android lollipop v5.0.X, Qualcomm MSM8994 Snapdragon 810 chip, Corning Gorilla Glass 4 display protection. And, a Non-removable Li-Po 2840 mAh battery that offers solid battery life followed by many others amazing features. M9 is a good option for the users who love HTC smartphones and wants a break from using iOS. 4. 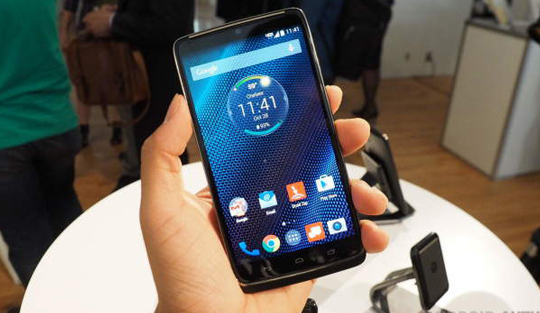 Moto Turbo – The unique selling point (USP) of this flagship smartphone by Motorola is its Primary camera of 21 MP. Some other mind-boggling features of Moto Turbo are – Wireless charging, Turbo Charging, Moto voice, Moto Display, Moto Assist, Moto Actions, Moto Connect, and other. In nutshell, Moto Turbo is one of the best flagship smartphones launched by Motorola in recent times that makes it worth buying. 5. Samsung Galaxy Note 4 – There is no doubt that Galaxy Note 4 is another appealing flagship smartphone from Samsung Electronics. Galaxy Note 4 is a successor of Galaxy Note 3 that comes with Fingerprint sensor (PayPal certified), S Pen stylus, Super AMOLED capacitive touchscreen, 16 MP Primary and 3.7 MP Secondary Camera, Corning Gorilla Glass 4 display protection. 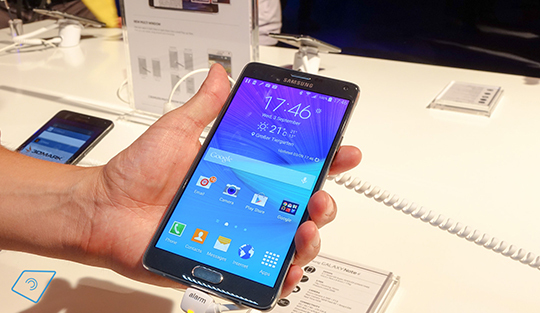 Samsung Galaxy Note 4 is a rare blend of technology and class that makes it quite demanded among the smartphone users. 6. Sony Xperia Z3 – The latest Sony Xperia Z3 is also a strong opponent in this competition. Xperia Z3 is no less when it comes to features and performance. This flagship smartphone is powered by IP68 certified – dust proof and water resistant over 1 meter and 30 minutes, IPS LCD capacitive touchscreen, Shatter proof glass, Triluminos display and, X-Reality Engine. 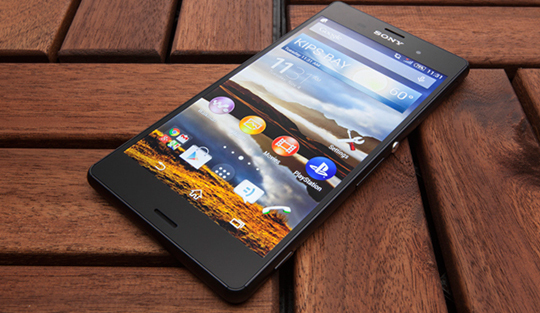 As far as cameras are concerned Xperia Z3 has a Primary camera of 20.7 MP and Secondary of 2.2 MP. 7. 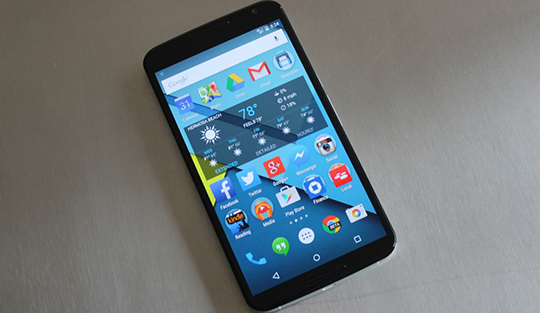 Google Nexus 6 – Recently, Google launched its sixth edition of Nexus flagship smartphone. The new Google Nexus comes with 13 MP rear-facing with optical image stabilization and 2MP front-facing cameras, Qualcomm® Snapdragon™ 805 processor, 2560 x1440 QHD AMOLED display (493 ppi), Memory of 32 GB/64 GB, 2560 x1440 QHD AMOLED display (493 ppi), Android lollipop 5.0 OS. Nexus 6 is available in two colors Midnight Blue and Cloud White. 8. Blackberry Classic – Blackberry Inc. latest flagship smartphone i.e. Classic is also grabbing limelight these days. 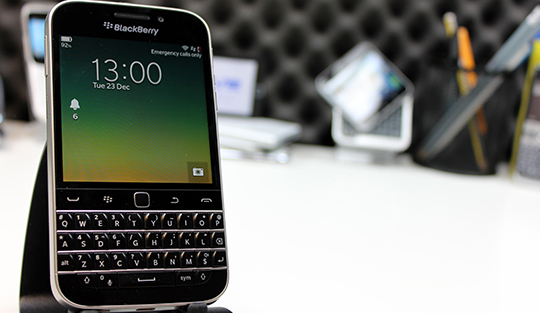 With this flagship model, Blacberry Inc. is hoping to bounce back in the smartphone market. Blackberry Classic comes with 8 MP Primary and 2 MP Secondary cameras, standard Blackberry QWERTY keyboard, optical keypad, Capacitive touchscreen, Corning Gorilla Glass 3, Qualcomm MSM8960 Snapdragon and BlackBerry OS 10.3.1. 9. Xiaomi Mi 4 – The latest entry in this smartphone flagship race is Xiaomi Mi 4 that comes with 13 MP Primary and surprisingly 8 MP Secondary cameras. Mi 4 also offers IPS LCD capacitive touchscreen, Qualcomm MSM8974AC Snapdragon 801, Non-removable Li-Ion 3080 mAh battery, and many other features. The best thing about Xiaomi Mi 4 is its price which is which affordable unlike other flagship smartphones available in the market presently. 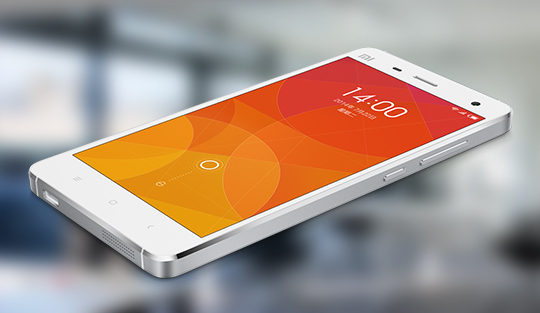 This flagship smartphone by Xiaomi is already getting overwhelming response from the users. 10. OnePlus One – Another appealing smartphone available at affordable price tag is OnePlus One. Some of the highlight features of OnePlus One are LTPS LCD capacitive touchscreen, Corning Gorilla Glass 3, Qualcomm MSM8974AC Snapdragon 801, 13 MP Primary and 5 MP Secondary cameras. 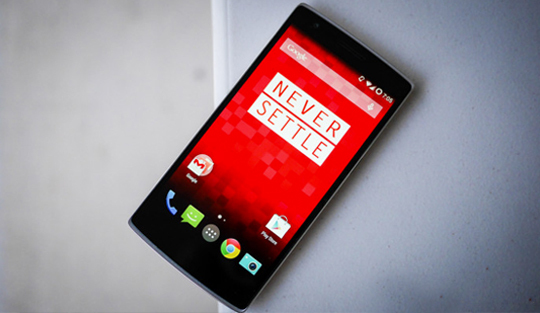 OnePlus One is powered by Android OS, v4.4.2 (KitKat), upgradable to v4.4.4 (KitKat). We hope this blog post will help our readers to choose the best possible flagship smartphone for them. At TechAhead, we, not just design and development top-notch enterprise mobile apps but also believe in enlightening our readers on latest updates and news from the mobile industry through our blog section.